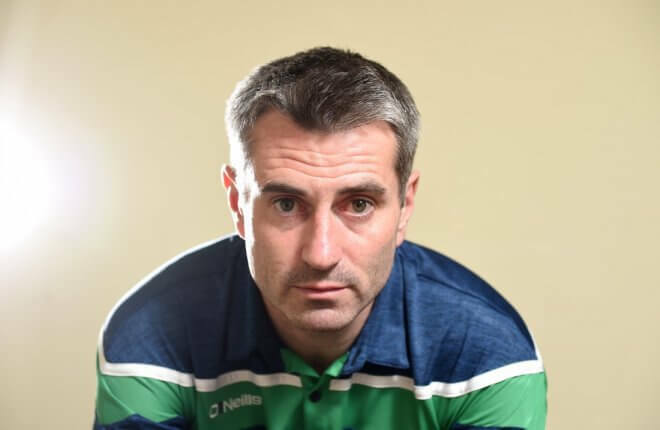 Erne boss Rory Gallagher has confirmed Fermanagh have a clean bill of health for Sunday’s Ulster Final clash with Donegal. The principle worry was the suspension hanging over Ryan McCluskey for an incident in the sideline at the Ulster final. “We got Ryan cleared up,” said Gallagher. “His proposed suspension was over-turned last Thursday so we’re delighted with that. Gallagher was also happy to see the appointment of the experienced David Gough as referee for the Ulster showpiece. That despite the fact the Meath official has already taken charge of Donegal against Cavan in their opening game in the Ulster championship. “We’re more than happy with him. He’s a top class referee,” said Gallagher. As Fermanagh prepare for the showdown with Donegal, the county has an undoubted ace up its sleeve. Surely there can’t be as many people outside the Donegal set-up as well versed in their players’ strengths and weaknesses as Rory Gallagher. It’s an edge the Erne manager wears lightly. “A lot of people have said that, but I can honestly say that myself, Ricey and the boys felt very much at ease preparing for the Monaghan game. I’d come up against them a lot in league and championship. This is not that big a difference to preparing for Monaghan. “I know the Donegal players, absolutely, but their management’s job is now is to make sure their players know the Fermanagh players. With Fermanagh and Donegal butting heads in the provincial showpiece it has helped sharpen the craic about the Supervalu Gallagher managers in Killybegs. “Ah there’s a bit of banter with Hughie [McFadden] and Eoin Ban [Gallagher] being from there and you’ve Patrick [McBrearty] and Ryan and Mark [McHugh] from Kilcar and they’re in and out. It’s a GAA area. One barb Fermanagh have had to take quite a bit since their victory over Monaghan is the casual assertion that they are a one dimensional defensive team. “I told the boys way back in December, January that with myself being involved and Donegal’s history, and Ricey, straightaway we are going to be labelled a defensive team no matter what,” said Gallagher. “We set out to be a very hard working team that tries to control the games that we’re playing, but I’ve yet to come across any team that I’ve been involved with where it has been about containment. If Fermanagh are keeping teams to low scores, a lot of that is down to ferocious work rate. Gallagher has his men dying for the ball this season. Last year two successive nine point defeats ended the county’s championship. What does the manager attribute this new-found hunger to? “There’s a lot made of Donegal’s success. Donegal won a National League in 2007, so they had to have phenomenal players, that’s the first thing. There was a huge amount of them still there in 2011 and 2012. They won and Ulster u21 and got to an All-Ireland u21 final in 2010. “The timing was just right. Don’t get me wrong, you have to make the most of that, but there was quality players. “Why did I decide to take Fermanagh now? Because the team is at the right age. I said to myself if I’m going manage Fermanagh now is the time otherwise it’s going to be a rebuilding job in two to three years, to an extent. “Getting players at the right age is a big part, and having enough of them. If you bring an awful lot of young players through at the one time it can’t be easy. There’s a maturing process for players as much as anything to decide that I’m going to do this, and I’m going to do it right. “They’re at a stage of their lives where they are looking around and they think they are as good as other teams. They might not be sure, but then they decide they are going to empty themselves into this and leave no stone unturned to prove they are good enough.